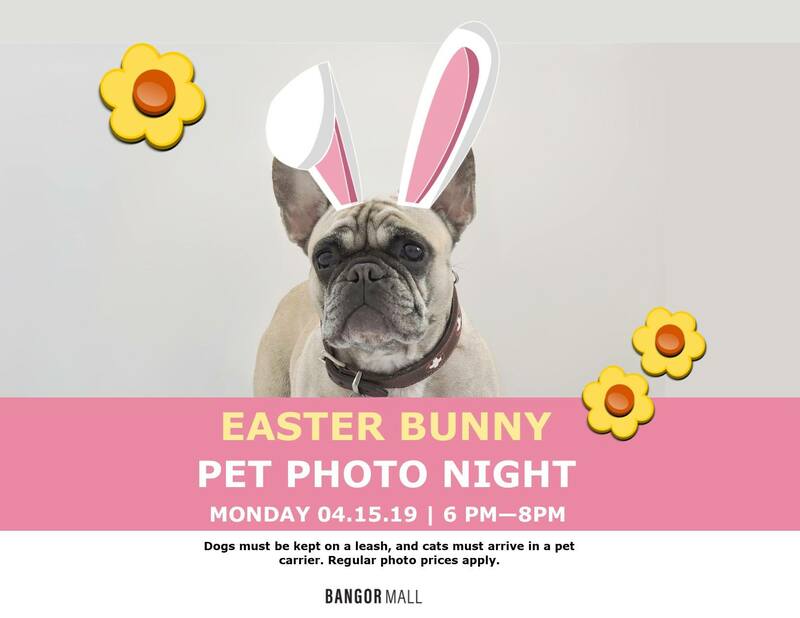 Bring your furry companion to see the Easter Bunny on Monday, April 15 from 6 PM – 8 PM. Dogs must be kept on a leash, and cats/rabbits/hamsters must arrive in a pet carrier. Visiting the Easter Bunny is always free, regular photo prices apply. The Easter Bunny will be in the Furniture Mattresses & More Court. Your closest parking is by the mall entrance located between JCPenney and Furniture Mattresses & More.